AAdvantage 30th Anniversary Deal of the Day update: Earn 300 AAdvantage Bonus Miles for Every $30 in dining from AAdvantage Dining. Go here for more details. Don’t forget to submit your name in the daily drawing for 30,000 AAdvantage Miles. Starting this summer, American Eagle will begin new service between Chicago and to two cites: Wilmington, NC and Charlottesville, VA.
Offer: Starting June 9, 2011, American Eagle will offer daily nonstop flights between Chicago O’Hare and Charlottesville, VA. To celebrate, you can earn double miles every time you fly our new route through August 31, 2011. Registration is required before you travel using promotion code CHO2X. Go here to sign up for this offer. 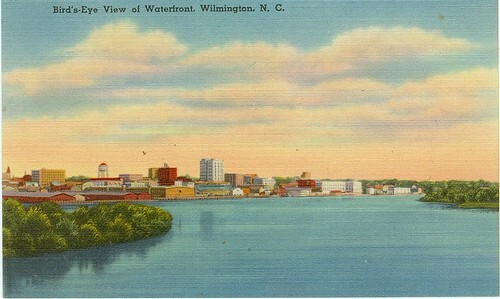 Offer: Starting July 2, 2011, American Eagle will offer daily nonstop flights between Chicago O’Hare and Wilmington, NC. To celebrate, you can earn double miles every time you fly our new route through September 30, 2011. You also have to register for this offer prior to travel. Use promotion code ILM2X and go here to sign up or to review the terms and conditions.